Have you ever been teaching and a piece of technology that you were relying on for your lesson completely failed you? 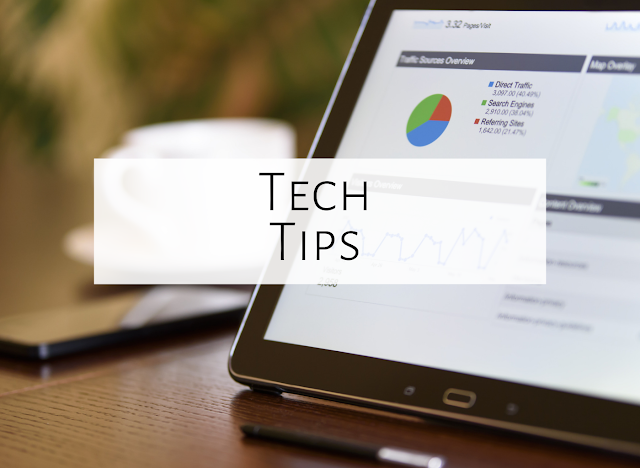 This has probably happened to all of us at some point, so today I'll write about preventing these technology troubles, leaving you with a smooth, engaging lesson! When I'm teaching, I often have to think ahead to the next activity in the lesson or even the activity after that. I have an agenda that has all of my songs, activities, etc. on it as well as my "I can" statements, and my SMART Notebook files, Powerpoints, PDF's, etc. that I need are linked in the agenda. As I'm teaching, I try to think ahead to what's coming next so I can open the file ahead of time, especially if it's a SMART notebook file, as those--at least on my computer--can take a long time to open up! I've had it happen so often that a SMART notebook file takes a few minutes to load, and a few minutes in an elementary classroom is a long time! I try to open the file when the kids are doing a singing game, working with partners, playing instruments, or otherwise engaged, so they don't have to sit and wait. When I'm showing YouTube videos, I also have to think ahead, as in my district, I have to sign into a filter in order to show the video. The filter in my district only lasts for one hour before I have to sign in again, so if I know a video is coming up in the lesson, I make sure to sign into the filter when students are doing something else. That way, they're not sitting around waiting for the video to be up and running! I don't necessarily have a back-up plan for every activity in my lesson, but I can improvise if I need to. For example, the other day I was trying to have first graders write the rhythm to "Bee Bee" on the SMART board, but the SMART notebook file never opened up for me (instead, the program crashed.) Once I realized it was taking too long, I drew bees on the board myself with dry erase marker and had students figure out the rhythm. You might not always be able to think of a back-up activity ahead of time, but in the moment, if you need to write on the dry erase board instead of the SMART board, go for it! The lack of interactivity might not be as cool as what you've planned, but it's better than waiting around for the technology to work. 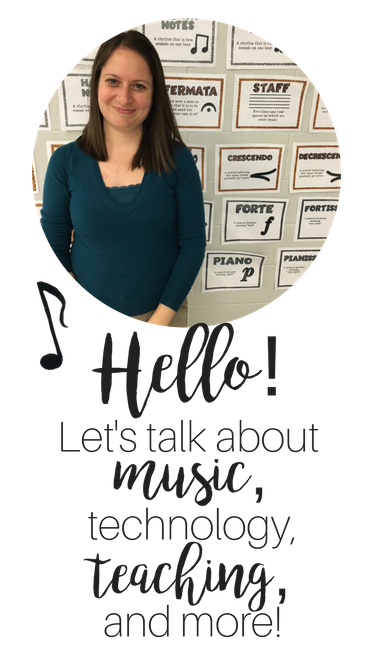 While I'm waiting for a file to open, I might have students echo rhythm patterns, echo melodic patterns, sing the song one more time, turn to a partner and tell them what they could improve next time we play/sing the song, etc. These are all activities that can improve students' musicianship, and they help to fill the time and keep students engaged while you are waiting for technology to work! #4: The freeze button is your friend! You may have had the experience that you are about to watch a YouTube video, and a commercial that is perhaps a bit inappropriate or non-kid-friendly comes on the screen...and you very quickly pause or turn off the video to avoid the kids from seeing anything (if they haven't already!) I now use the freeze button to alleviate this problem. Before I even hit play on the video, I hit freeze on the projector remote, and I make sure that it will actually play the video. Every few videos, it seems to show a commercial, and with some videos, it will show a commercial regardless, so you have to be careful. I freeze the projector, put the volume down on my speakers, and check to make sure the video will play with no commercial before showing the students. They don't know any different (although they may remind you that the freeze button is on), and then no worries about commercials! You might look into using Safeshare, which is a great website that takes out YouTube commercials. I've heard there have been some problems lately with the site but I believe those problems have been solved. You will also have to check at your school to make sure you are allowed to go to the site. My district blocked the site, and I can't even sign into the site with a filter, so it will depend on your district. As much as I love technology, sometimes kids just need to put their hands on something--to touch something, to feel it, to manipulate it. If we never have students hold things in their hand, they are at a disadvantage. I've been learning more about sensory processing disorder lately, as my three-year-old was just diagnosed with it, and I've learned that in order for some kids to learn best, they need to move, to spin, to hold, to touch. If we only put iPads and SMART notebook files in front of our students, they may not learn as well as they could. Make sure you have a healthy balance of actual objects your kids can feel with activities that utilize technology. Looking for more technology ideas? Check out my "Techie stuff" Pinterest board! 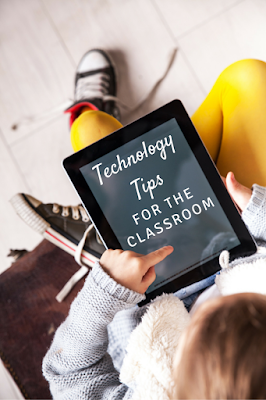 I hope these strategies help you as you integrate technology into your lessons! What are your tips? Great food for thought as always, Aileen. I appreciate the Safeshare suggestion, but your ideas about freezing the projector and turning down the speakers are pure wisdom if I can't access it.